This 26 card Set measuring approx. 1-11/16" x 3-1/2" were printed on thin cardboard stock. They were found one in every Patterson's Long Fellow candy bar. 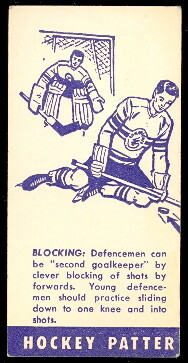 The card front explained different aspects of Hockey, from the game itself to uniforms and Trophies, printed in English. 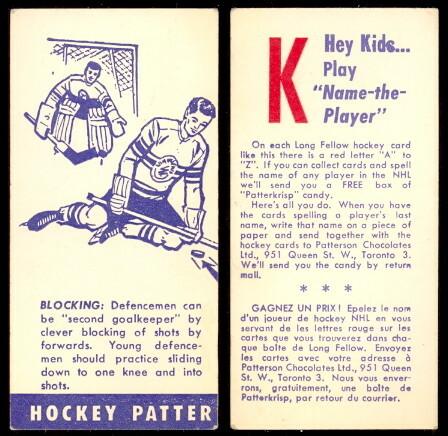 The backs, printed in French and English, featured a large red letter from A thru Z, and explained the promotion. 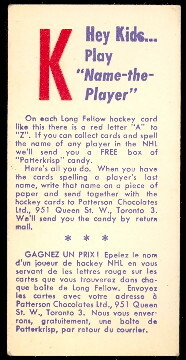 By sending in the appropriate cards spelling the last name of an NHL Player, you would receive a free box of Patterkrisp candy. 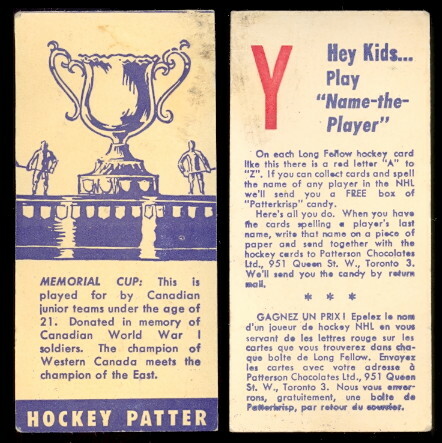 The promotion ran from 1961 to 1963. Any addition information concerning this issue would be appreciated.